CONFIRM YOUR EVENT AND RECEIVE A THREE NIGHT NOOSA ESCAPE JUST FOR YOU*! Confirm your event at Peppers Noosa Resort & Villas between now and 30 April 2019, and receive a complimentary three night stay for two at Peppers Noosa Resort & Villas in a 1 Bedroom Apartment. Offer is inclusive of buffet breakfast for two, daily refresh and WiFi, PLUS one three course dinner and complimentary bottle of wine for two in View Restaurant. Conditions apply. Valid for new events only, confirmed prior to 30 April 2019 and held before 30 September 2019 with a minimum contracted spend of $25,000. Subject to availability, is non-exchangeable, and block out dates may apply. Valued at $1,100. Peppers Noosa Resort & Villas is spacious and naturally designed to celebrate the sub-tropical environment, with views to both ocean and rainforest, yet the setting is intimate and friendly in distinct Peppers style. Choose from a range of flexible event spaces that can host up to 1000 guests cocktail style. Delectable menus, the latest multi-media technology and the highest level of guest service will ensure every event is seamless. Located in the lush and serene rainforest eco-system of the UNESCO-designated Noosa Biosphere, an inspiring setting for your next event on Queensland’s picturesque Sunshine Coast. Our spacious and beautifully appointed penthouses and apartment accommodation offer a fully equipped kitchen with stylish appliances, LCD TV with Foxtel, laundry room with washer and dryer, air conditioning and private patios all with striking rainforest, resort or ocean views. Designed over two or three levels, our beautiful villas offer spacious living and dining areas, premium appliances and stylish furnishings, fully equipped kitchen, separate laundry, air conditioning, and private garage. All offer private balconies with breathtaking rainforest or ocean views, and our impressive Grande Villa offers the added luxury of a private plunge pool. The quintessential Peppers experience revolves around food and wine, and our Advisory Executive Chef Matt Golinski is passionate about serving the best local produce available. We’ve taken our guests (and team) on whirlwind food journey, platforming new concepts and flavours whilst evolving the hotel food and wine experience and raising the bar in one of Australia’s most loved ‘foodie’ destinations. •	Heated infinity pool – for villa and penthouse guests only. 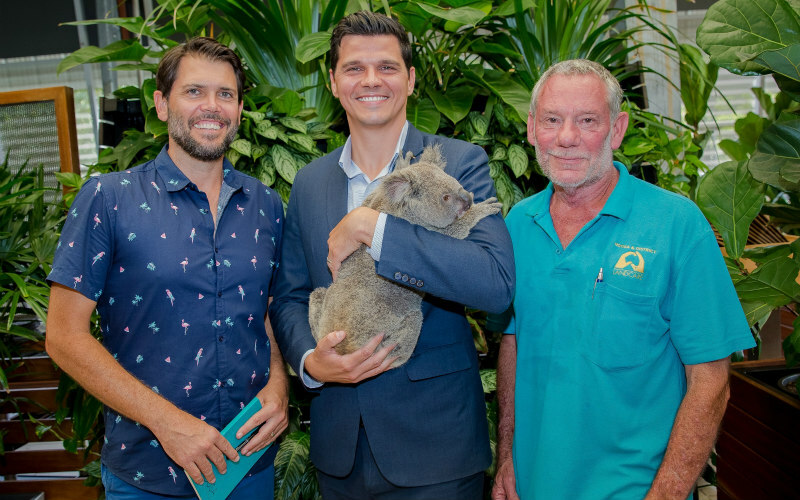 Peppers Noosa Resort & Villas has strengthened its ongoing partnership with Noosa & District Landcare Group (NDLG) by extending its arms to support Noosa's cuddliest residents through a unique fundraising initiative for the Noosa Koala Habitat Recovery Project. 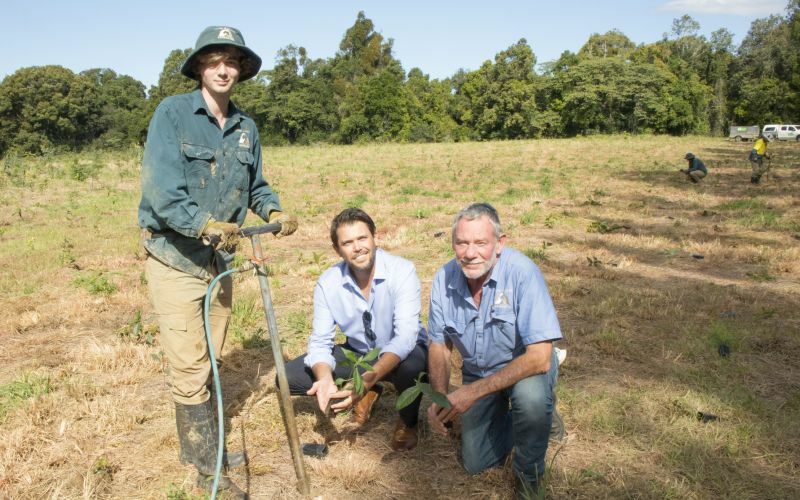 Peppers Noosa Resort & Villas and the Noosa & District Landcare Group (NDLG) yesterday (11 July) planted 2,200 trees in an endangered regional area of Kin Kin, a locally recognised UNESCO Noosa Biosphere area, as part of their partnership.